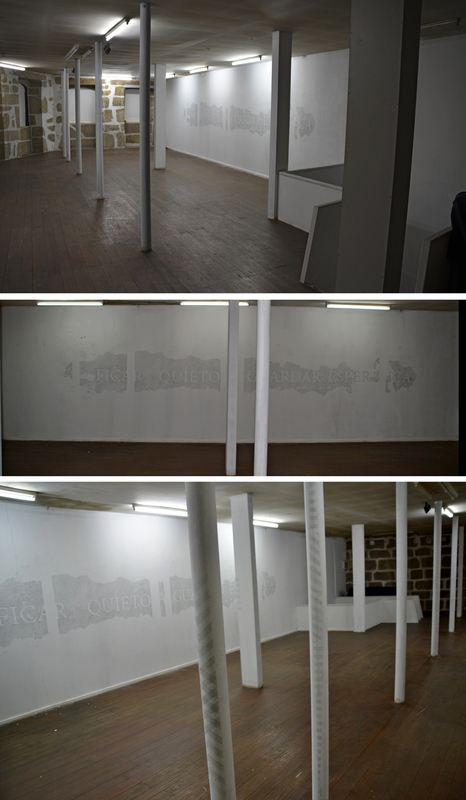 The exhibition Tornar (To become) results from an encounter of two artists. 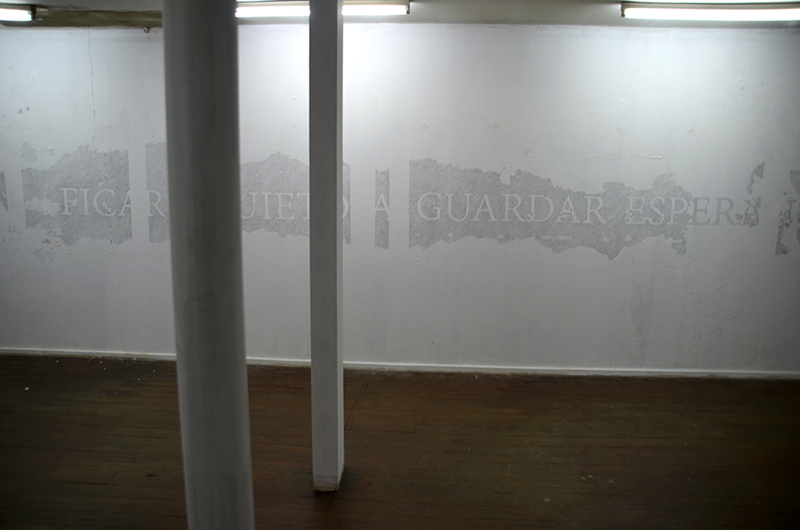 In the introductory text to the exhibition one is informed, “the artists André Alves and Dalila Gonçalves share a story”. Almost everything necessary to further what the show is really about can be found in that small sentence, in what it says and misses to say. Tornar lives above all from a greater affinity: the affirmation of an aesthetic speech working from the “reconversion of matter” but which natural and final will is that of constituting a recognizable perception (an extremely material one) about the destination of materials and meanings. 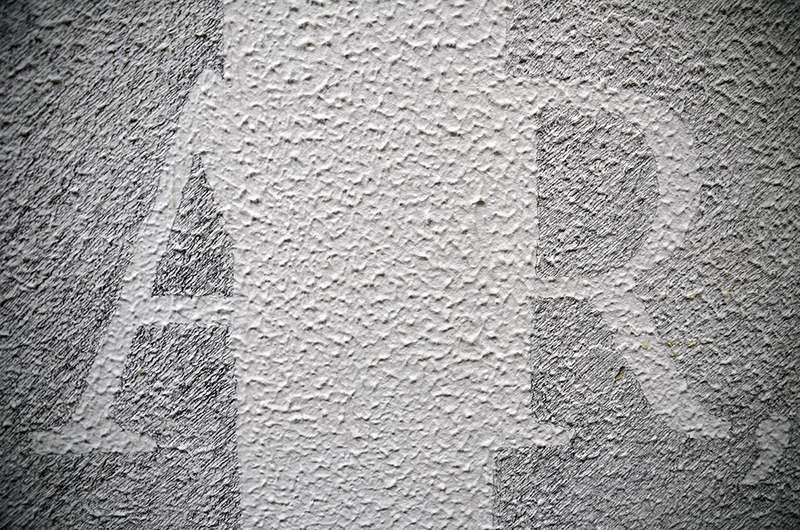 The quality of subtlety is the most specific aggregating quality of the works in the exhibition. Tornar presents two new works: a site-specific drawing (Problem or Solution), and a video installation from the body of works around the idea of Impasse (Impasse: vertigo without fall). 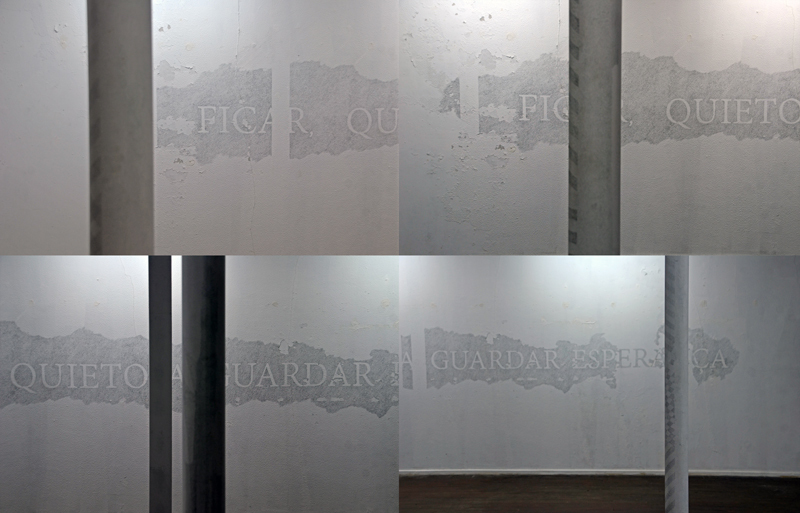 Where the first plays with the immediate perception of the image/text on the wall, the second looks for a lessening entrance to the image. 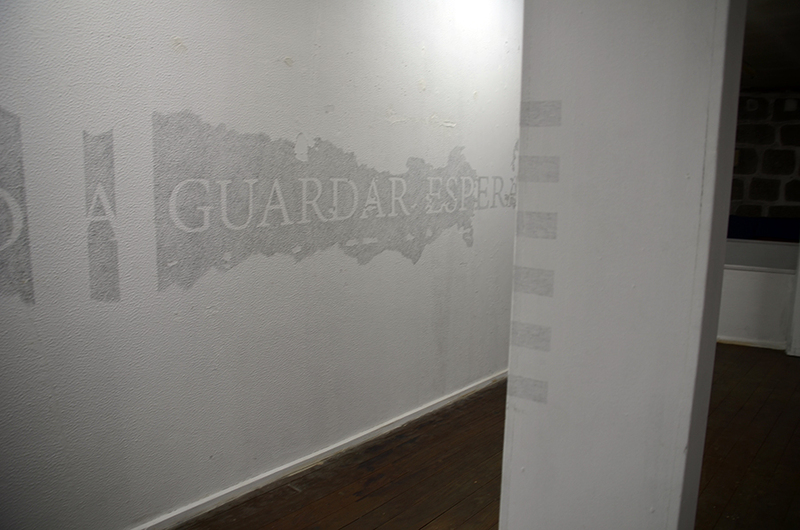 In Problem or Solution one enters the room to find the sentence “To stay, keeping hope” (but in Portuguese, “Ficar, a guardar esperança”) written on the wall. 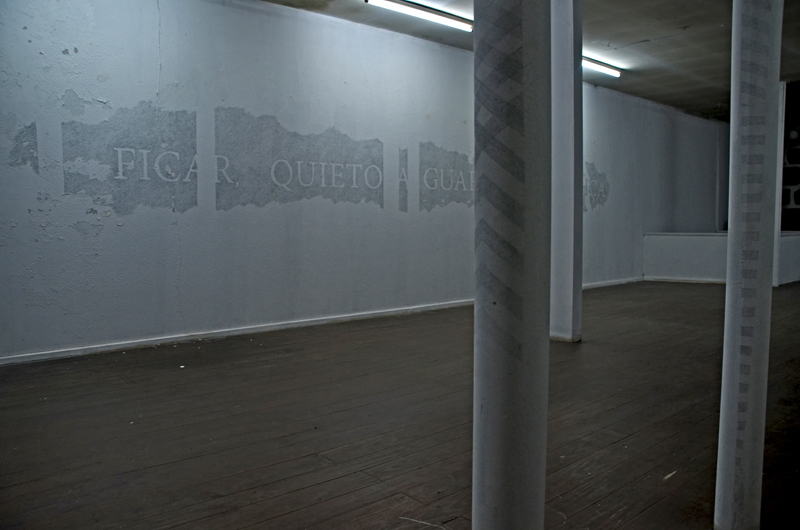 As entering the room one feels a relation between white columns and wall (blank areas on the drawing where the columns seemingly project, interrupting the drawing, forming cuts, gaps). 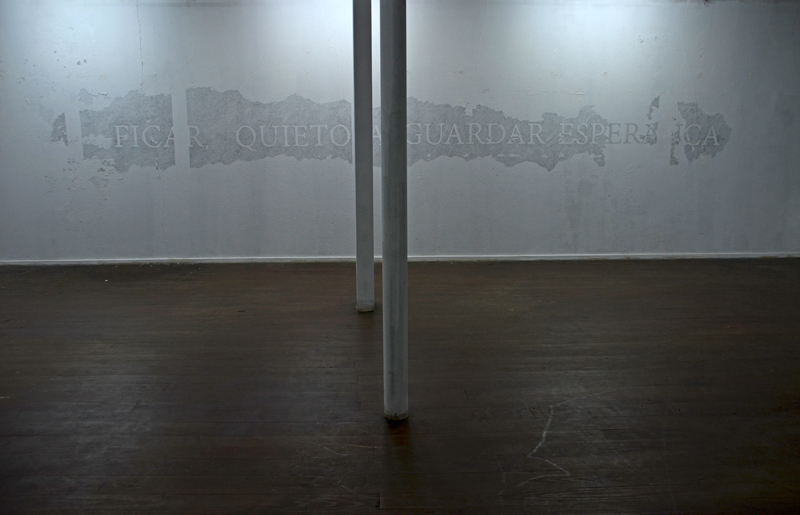 Closer to the wall one sees the detailed work necessary to execute the sentence: a morose process, apparently absurd in its effort, somehow relating to the “to stay” patiently and adamantly making. A second spatial activation occurs when one turns back towards the exit and noticing that the back of the white columns is filled with representations of warning/danger chevrons. This is the more impactful side of Problem or Solution, its absolute integration in space and the careful preservation of the ambiguous meaning of the sentence (that, clearly stronger in Portuguese). Impasse: vertigo without fall is part of a long-term series named Impasse. This work comprehend a ocular shaped video (of a promontory where a warning landmark surrounded by a grid), a revolving red light sitting on the floor and a thick layer of “fog” (generated by a smoke machine). This work stresses the simple relation between images of a (inaccessible) warning signal and the presence of a light that rotates slowly in space (that when intersecting smoke gives a seemingly impression of a lighthouse). Here, we are spectators of a real but inaccessible danger. Tornar, that designation of a thing that comes to be gains with these works the expression of a state that implicates who sees them. These works aren’t shouting, they try, rather its opposite, tenuously removing the need of straight declarations or direct diagnostic. 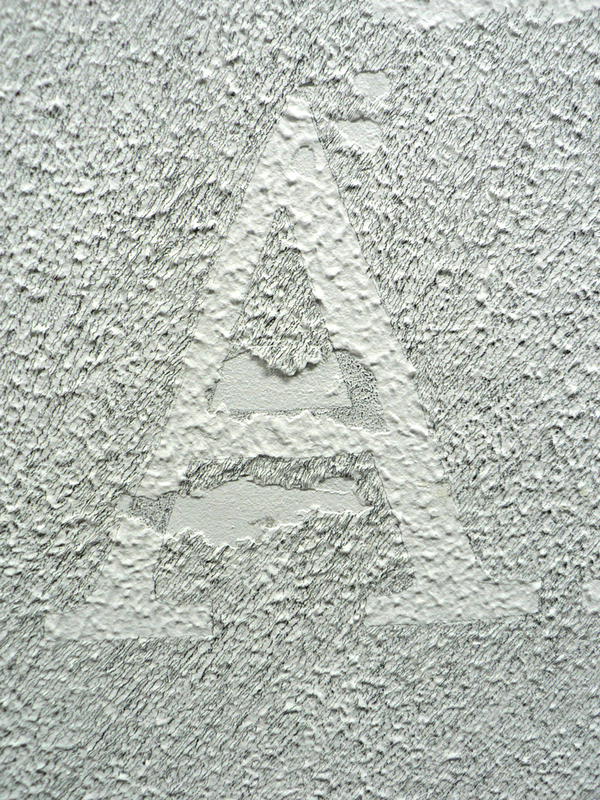 These aren’t works about solutions but about the upholding attention in uncertainty.